After spending three years in preschool, my husband and I believed our son was ready for big school. In 2012, Justin took the entrance test for Kinder 2 in the school of our choice early and enrolled early, too. On the first day of classes, I accompanied him to school to get a feel of his new environment and to see if he was comfortable being around new people in a place a little farther from home. 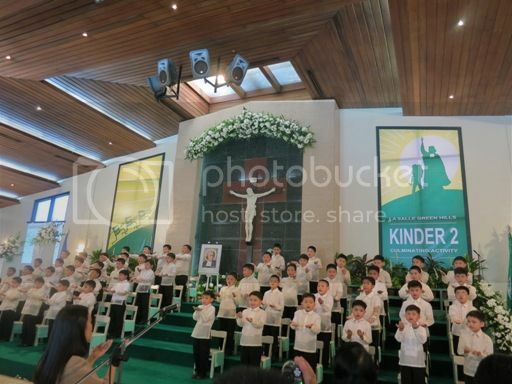 To be honest, I was quite apprehensive for my son because he was a newcomer in school. It seemed everyone in class knew each other already as they have been with the school one year ahead of my son. Justin didn’t know anyone in class, so he just sat on his seat and waited for their teacher. As his mom, I knew it would take a while before my son could adjust to the new set-up. Being in big school means longer hours in school, more school work, less playtime, and no more mom waving at him outside the window during class. In big school, parents are only allowed to accompany their children to class on the first day, unlike in preschool where parents can occasionally check on their children in school and peep through the glass window to see how their kids are doing. On his second day in class, only the kindergarten pupils were allowed to enter the gate. The parents had to stay behind. I could see sadness and apprehension in my son’s eyes as I planted a kiss on his cheek and waved goodbye. He kept looking back at me as he walked towards his classroom with the same forlorn look. His struggle was real, and it was heartbreaking! When he went home that day, he told me that he cried in school because he was missing me. He said he was consoled by a classmate whose name he remembers very well to this day. “It’s okay, Justin. Don’t cry.” Those were his classmate’s exact words that made Justin felt at ease. That classmate became his first-ever friend in big school. 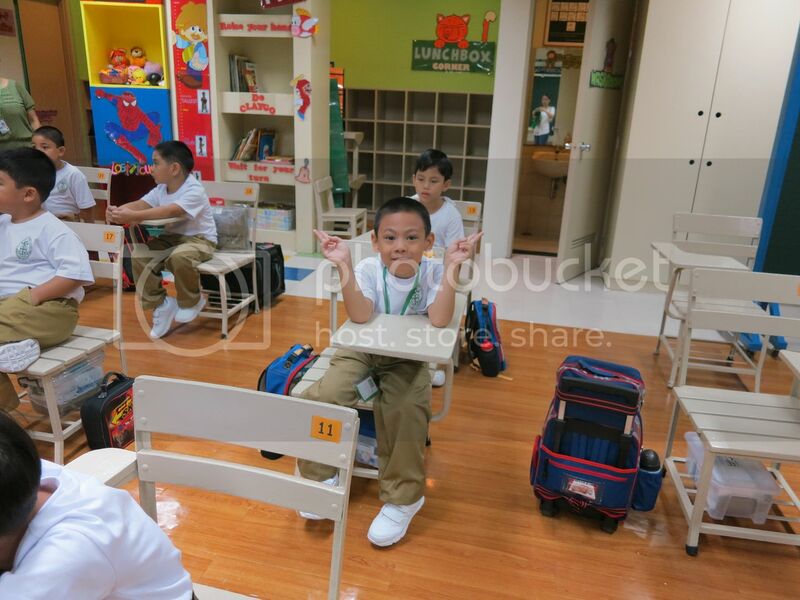 It took a week or two before Justin overcame separation anxiety, and before long, he was already enjoying big school and looking forward every day to seeing his classmates and their homeroom adviser. I couldn’t be happier for him because he finally overcame his first biggest challenge in life. And this mom got the biggest surprise of her life during my son’s Kinder 2 Culminating Activity. 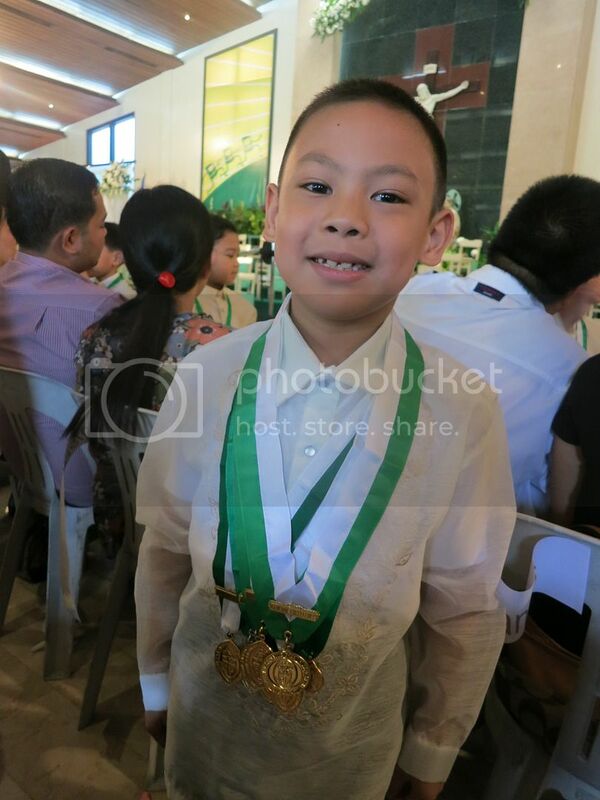 Justin received the highest academic award for their batch! 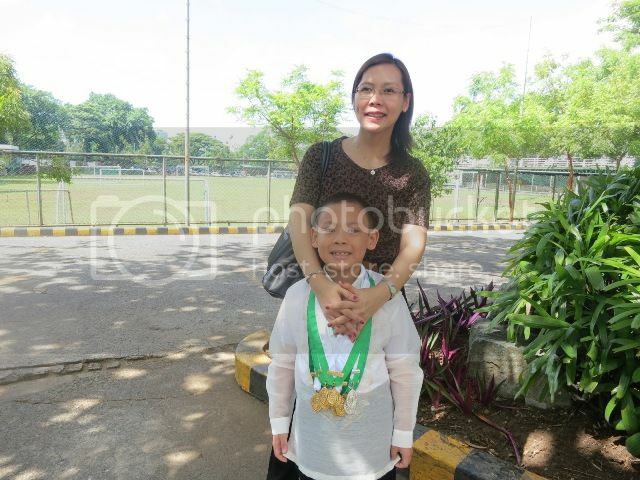 Aside from getting the Gold Medal for General Academic Excellence for Kinder 2, he also received 7 more medals. It was awesome! His homeroom adviser kept this a secret from me. It was a momentous occasion! Knowing that our son was excelling in his class was just icing on the cake. Seeing him enjoying his stint in big school and conquering his biggest fear was enough for his dad and me. With or without medals, we love our son the same. While my son has conquered his life’s first biggest challenge, there’s still a long way to go. Conquering his fear of big school is just one of the many obstacles that he will have to hurdle in this lifetime. But he won’t face all those difficulties alone, no not just yet, because his dad and I will always be here – well, for as long as life allows us to be present for him – to guide him, support him and love him. Why am I telling this story? Because I recently came across this TV commercial from McDonald’s that rings a universal truth as far as all moms and dads are concerned. The commercial shows that no matter what our kids do, whatever shortcomings they have, and whether they finish first, last or not at all, for us parents, our kids are the best. What about you? What was your child’s first win in life? Visit McDonald’s Philippines on Facebook, Twitter and Instagram for their upcoming campaigns and promos. This entry was posted in Big School, Big School Woes, Kinder 2, Laging Mahal ni Nanay at Tatay, McDonald's Philippines. Bookmark the permalink. My children are my joys. I am trully blessed to.have them in my life. It’s always a good feeling to celebrate your child’s triumphs. I remember when my son, who’s now a toddler, clearly said “Mommy” for the first time while looking at me. It was such a triumphant moment for a first-time parent like me. The joy it brought me was so priceless. I love this commercial! It’s true, “minsan lang sila bata” so we have to cherish every moment and not focus on their shortcomings. We must not set high standards and raise the kind of children that we have. Aww. Another milestone! I can just imagine how happy you are. I like that McDo commercial. It reminds me that kids will be kids- they’re not perfect and will not always meet our expectations but it’s part of growing up and we also grow in love and patience as we parent our dear childrend. God bless you and your family! I have a two year old and we’re already having trouble deciding on the best toddler school for her. What more big school??? Congratulations on your milestone! Love the video because I can totally relate. At home we celebrate even the smallest triumphs. It’s important that our kids know that we love them no matter what. I remember it took a month for me to be able to leave my son in preschool! Congratulations to Justin! He’s really big na. Naku tetcha, may binatilyo ka na.. parang kelan lang, he’s still a baby. Good job to your son! 🙂 My youngest is in nursery of the big school also and I’m so glad and relieved that he has adjusted well. He used to be the one crying and very quiet in class. These days, the teacher often admires how he has matured a lot. Going to big school for the first time can really be such a scary thing for young kids. My second daughter was a bit scared too back when she was little but it helped that she had a big sister in the same school so she didn’t cry and was able to adjust quite well. I saw this commercial and I do agree that children will always have a special spot in their parents’ hearts. Good job Justin! You nailed it! Naku baka pag ako, mag aabang ako sa labas ng gate hanggat matapos ang class ng son ko lols. Awww on him crying in school because he misses you. My kids don’t do that, hahaha. Everytime they go to their Tuesday MAPEH classes, they always forget about me and remember me only when it’s time to go home and I show up to pick them up LOL. Congratulations Justin on your awards!!! Congratulations for bringing up such a fine young man…without your loving support he would not make it in big school so kudos to your parenting skills. Kids will always be kids something clingy and would need assurance from time to time. What’s amazing with Justin that in spite of the challenges n a big school he is able to cope up pretty well and even performed excellent in his academics. Great job mom and he is such a blessing!